Free Medium Pencil with Orders Over £50! We have a great offer running for you at the moment at illamasqua.com – spend just £50 on pieces from Illamasqua and we will reward you with a complimentary Medium Pencil of your choice! Have you been inspired by the Skin Sketching technique [click here to view our introductory tutorial] or are you looking to add a pop of bright colour to your eyes or lips for the Summer sunshine? Our favourites in the office include Whiplash, a hot lime green, Debonair a bright sky blue and Definitive a hot coral pink. 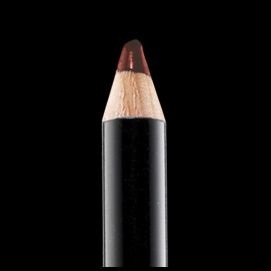 And you can’t go wrong with a creamy black pencil in your collection – Medium Pencil in Sophie is the inkiest black we’ve ever used! To take advantage of this offer, go to the shop and add in to your basket the Medium Pencil that you want and make sure that the total of the order is more than £50 EXCLUDING the £13 RRP of the pencil and enter the code PENCIL50 when you place your order. If you want to purchase more than one pencil, just one will be deducted from the cost at the end.